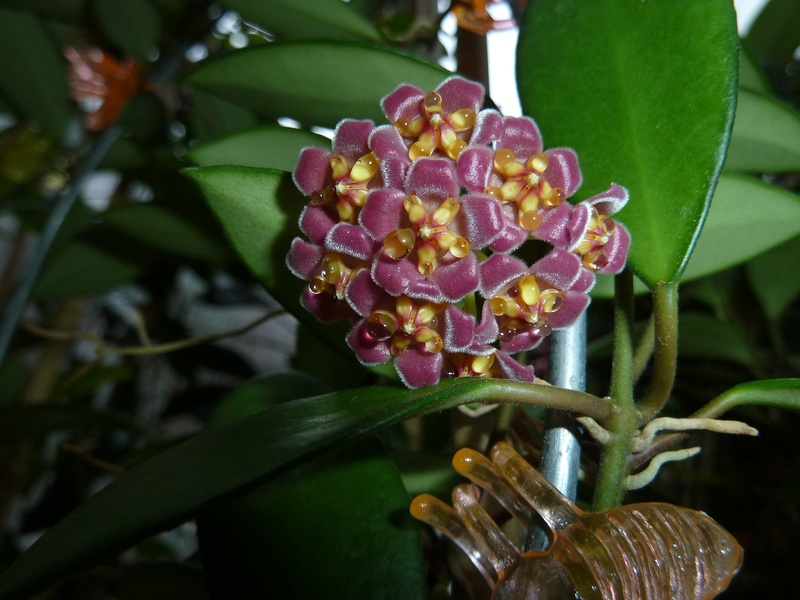 Hoya davidcummingii is a great plant that I have killed so many times that I lost count. I now know the secret of growing this plant – it needs to be grown in Hydroton with a reservoir of water in the bottom. This method of growing is called semi-hydro and I have disparaged it in the past, but for this Hoya it works! I saved some cuttings from a plant that went belly-up in the spring, and now it is blooming for me a few months later – amazing, and this after I have struggled to keep the plant alive for years! 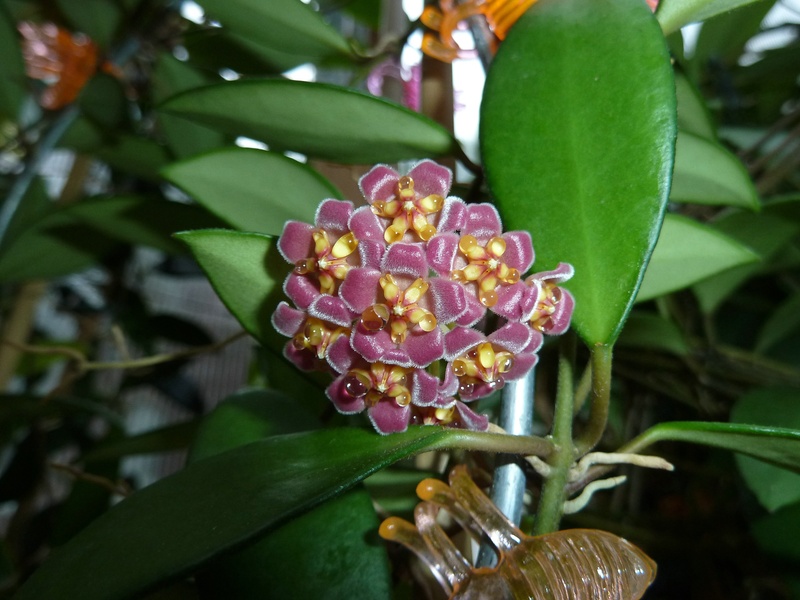 Hoya davidcummingii hails from the Philippines and is perfumed with pink flowers with yellow centers. A really great plant if you know the secret to keeping it alive.